ODABAN ANTIPERSIPRANT SPRAY FOR EXCESSIVE SWEATING 30ML ! 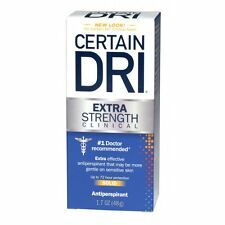 For over forty years Odaban Antiperspirant Spray has consistently proven itself in treating underarm wetness, foot problems, wet palms, facial sweating, etc. Déodorant 100% naturel issu de la cristallisation de sels minéraux naturels. 24 Hour Protection with Trimax. Formulated with Trimax™ to give you the 24 Hour odor protection that you need. Fresh Brut® scent. The sweat proof pads have a bra type fastening and are designed to fit close to the body and not move out of place. Under Arm Fitted Sweat Pads. The sweat proof pads are designed to be worn for all occasions from work to sports to casual to formal wear. For over forty years Odaban Antiperspirant Spray has consistently proven itself in treating underarm wetness, foot problems, wet palms, facial sweating, etc. Odaban's active ingredient is 20% w/v aluminium chloride hexahydrate dissolved in pure ethyl alcohol containing a protective silicone. Under Arm Excess Perspiration Padded Underwear. A well designed reusable under top with fitted sweat proof underarm pads. The sweat proof under top is designed to be worn for all occasions from work to sports to casual to formal wear. Feel Clean, Masculine & Confident. abc: 3 x 10130873. Keep yourself fresh and free from Sweat Patches. Made from Absorbent non woven fabric. All enquiries will be responded to within 24 hours. Add to favs. There are no hidden fees on the advertised price. Don't let sweat block the way you live. Whether it's nerves or anxiety, hyperhidrosis or hormones, SweatBlock Clinical Strength Antiperspirant is up to the task of keeping you dry, comfortable, and confident. Native Unearthed created this deodorant because they couldn’t find a natural deodorant that did the job. That’s why they set out to create a clean range of deodorants, with all of the pizazz, minus the nasties. Effective ZeroSweat Antiperspirant Why you’ll love ZeroSweat When even the "clinical strength" antiperspirants have failed, ZeroSweat will keep you DRY. Not for the average sweater. Typical antiperspirants only absorb sweat or reduce it. SPORT 100ml. Shake bottle and apply evenly. Maximum wetness protection with the highest level of active ingredients. Dermatologist tested. 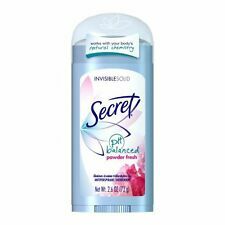 3 Pack DOVE Anti-Perspirant Deodorant Roll-On || Powder 2.5 oz. Condition is New. Shipped with USPS First Class Package. Ingredients : Active Ingredient: Aluminum Chlorohydrate (22%) Others Ingredients: Water (Aqua), PPG-11 Stearyl Ether, Steareth-2, Steareth-20, Fragrance (Parfum), Glycerin Directions : Apply to underarms only. Antiperspirant Clear Gel. Gillette Sport. Garnier Mineral. Naturally absorbent mineral. Deo Roll On. Enriched with Mineralite . No alcohol - no parabens. 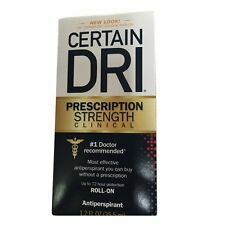 48Hr Strength & Protection. 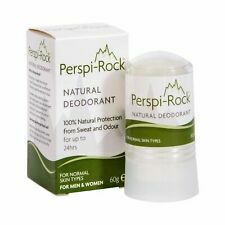 Anti-Perspirant Roll On Deodorant. Condition is New. 4 DOCE CLINICAL PROTECTION. WETNESS PROTECTION. Natural mineral salts work without the harmful chemicals found in conventional antiperspirants and deodorants. Directions Shake well and apply under arms for all natural protection. Paraben/PG free. 2x KARL LAGERFELD Deo Stick je 75g. neue Rezeptur. NIVEA Serum Extra Aclaranate es el 1er Serum Antitranspirante para tus axilas. - That the antiperspirant formula of Nivea Rinse Natural Classic Touch. NIVEA Extra Clarifying Serum is the 1st Anti-perspirant Serum for your armpits. Sanex Dermo Sensitive banishes body odour whilst letting skin breath. ermo Sensitive roll-on 50ml. Shake bottle and apply evenly. and gives greater care to delicate skin. Sensitive skin. Sweaty Feet Stop hyperhidrosis. Many people suffer the embarrassing effects of excessive sweating; The sweating may affect the whole of your body, or it may only affect certain areas. The pills work fast to target areas such as the armpits, palms of your hands, soles of your feet, face and chest or the groin area. Sanex Dermo Invisible Roll-on 50ml. Sanex Dermo Invisible minimises white marks on your clothes. Shake bottle and apply evenly. All skin types. It gives you 24-hour protection by actively working with your skin to combat body odour and perspiration. 2 X BRUT ORIGINAL DEODORANT STICK. Price is for 3 Dr. Scholls Blister Defense Anti-Friction Stick .3 oz (8.5 g). Condition is New. Shipped with USPS First Class Package. PROTECTION 48H ANTIPERSPIRANT DEODORANT. (1) SPORT DEFENSE. Es reguliert normale und übermäßige Schweißbildung. Kleidung erst danach anziehen.Am nächsten Morgen wie gewohnt waschen oder duschen. Die Haut ist dadurch zugänglicher. Bürsten-Sets & Bundles. Ihre Problemzonen bleiben angenehm trocken. Underarm Armpit Sweat Perspiration Pads. Fully absorbs underarm sweat, keep you cool and dry. Water absorbing capacity per paper: ≥8 ml. Material: non-woven fabrics, dust-free paper. Light weight and portable. Skin tolerance dermatologically approved 0% ethyl alcohol 48h effective anti-perspirant protection and gentle NIVEA care Invisible protection to leave no white residue on skin and clothes. We always endeavour to go the Extra Mile!